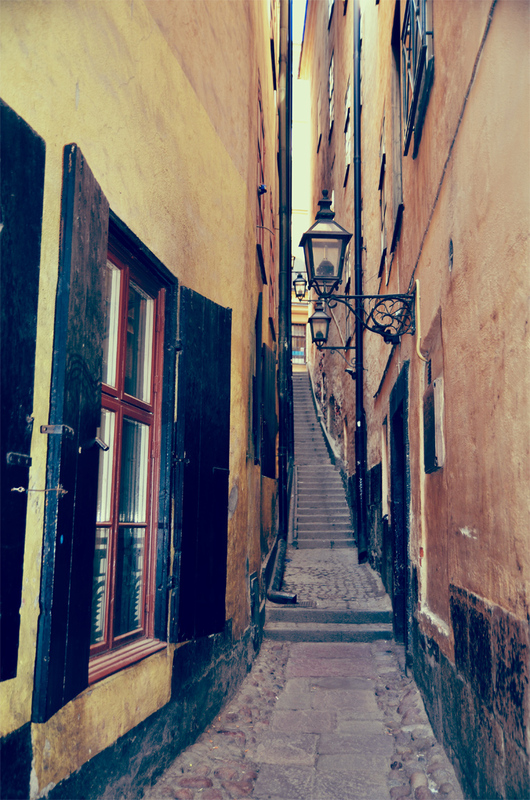 This is the narrowest street in The Old Town and that´s why it´s pretty easy to miss when you are walking around here. Leading from Västerlånggatan and Järntorget up to Prästgatan. 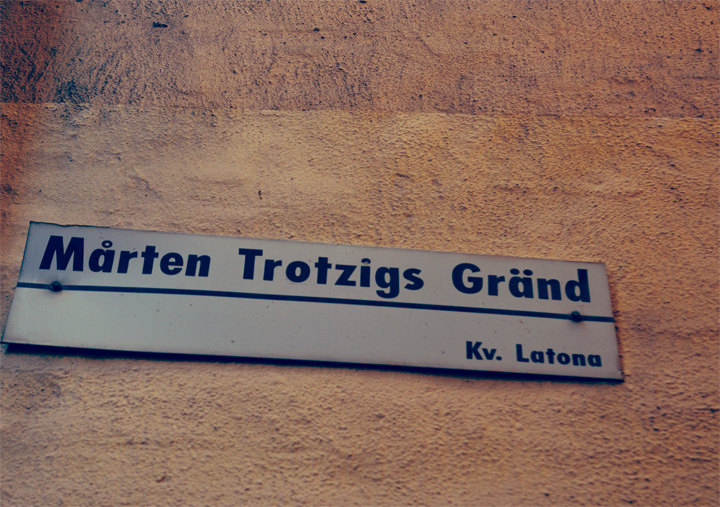 The alley is named after the German merchant Mårten Traubtzich who immigrated to Sweden in the late 1500s. 1597 and 1599 he bought some of the houses around the alley. 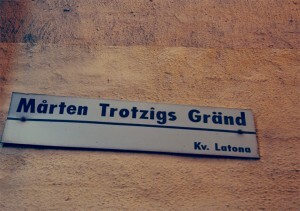 Trotzig dealt with copper and became an affluent resident. Although he ended up murdered during a business trip in Dalarna (central part of Sweden), march 21, 1617. For a very long time this alley was blocked with wooden planks on both sides of the streets and did not open again until 1945.